I finally found these girls after a few years of lurking. Found Lirbiete first, in a store that recently took over all the Comics Connections in Singapore. 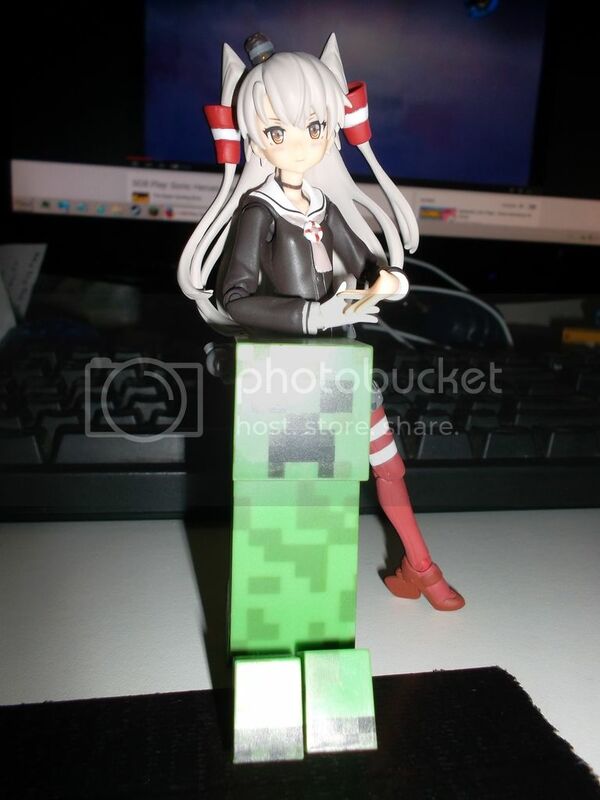 Looks like she can scale reasonably well with Minecraft figurines. Careful girl, that block of TNT can be volatile! After a couple days, I went back and picked up Arnval as well, so now I have two of these kids. Don't worry, I made sure to keep that block away from redstone power sources and flint-and-steels (since it's a Minecraft object and is bound by Minecraft physics). My Xiphos! She joined me on Saturday evening. 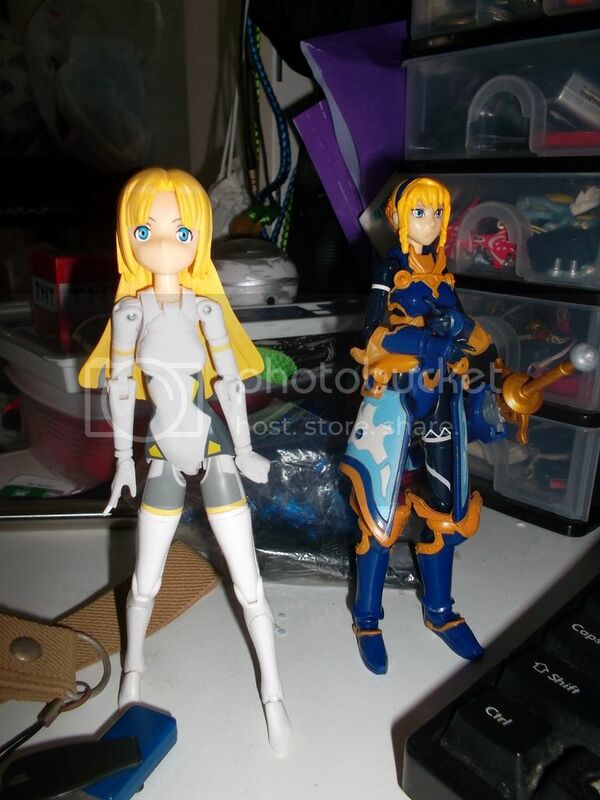 Her head is smaller than Arnval's, so their scale ends up looking quite different. 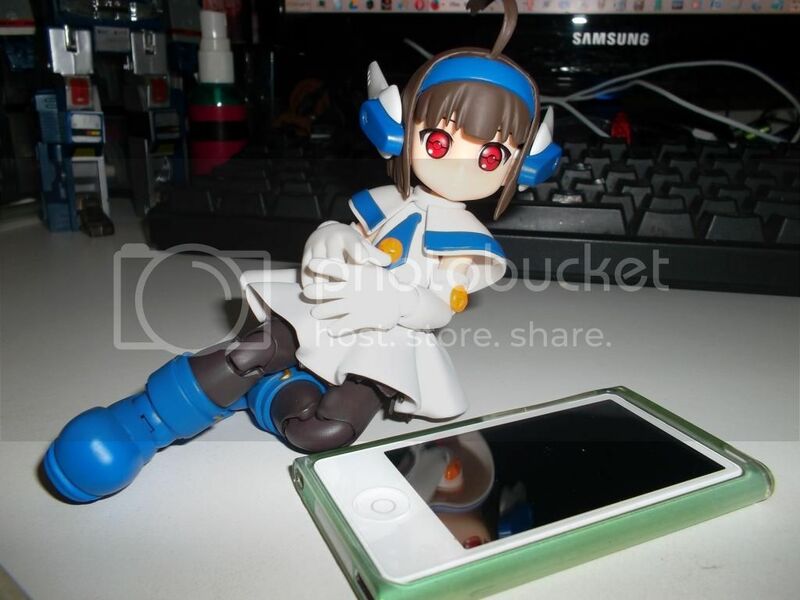 Bonus old image: Last year I got this Soul of Chokogin Combat-san (From the Hoihoi-san manga series), she's 1:1 scale with her manga incarnation and shown with an iPod Nano for size scale comparisons. 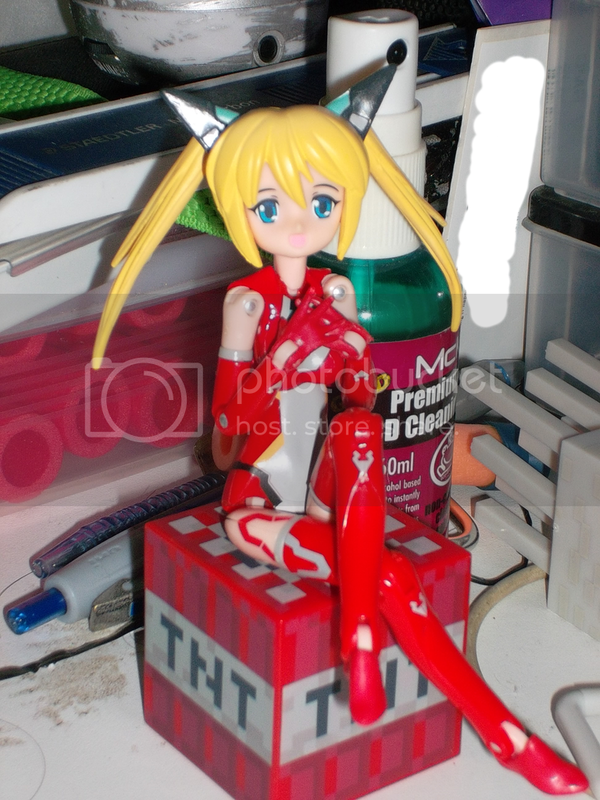 Unfortunately her AI is way inferior to all the Shinki so all she does is shoot cockroaches and try to kill rival robots made by Mars Pharma (like Hoihoi-san from the manga). 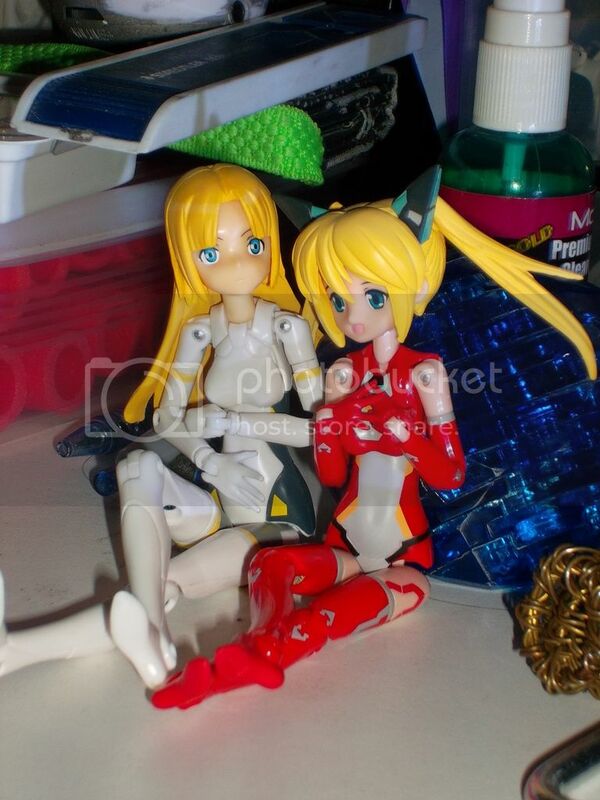 Thankfully she hasn't tried to go after the Shinki. 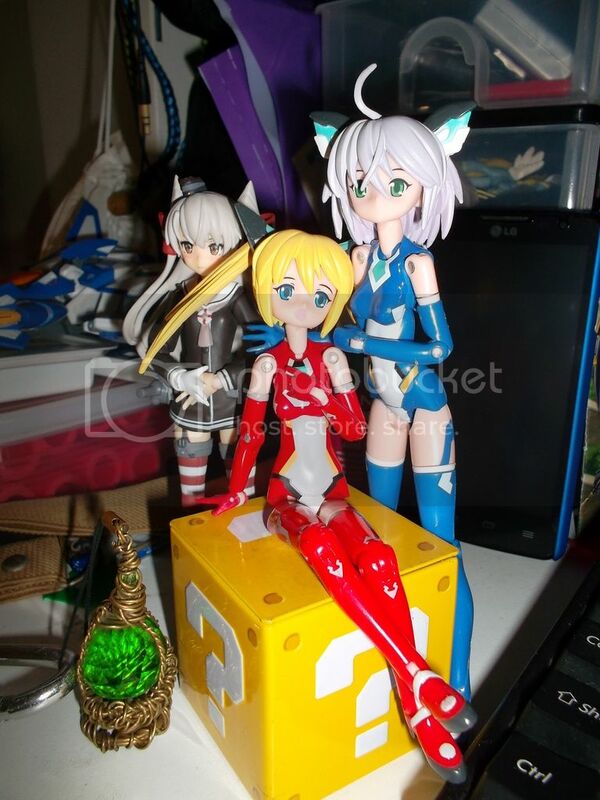 I actually suspect that the Busou Shinki I bought are being sold well below market price (S$50.00 EACH!). 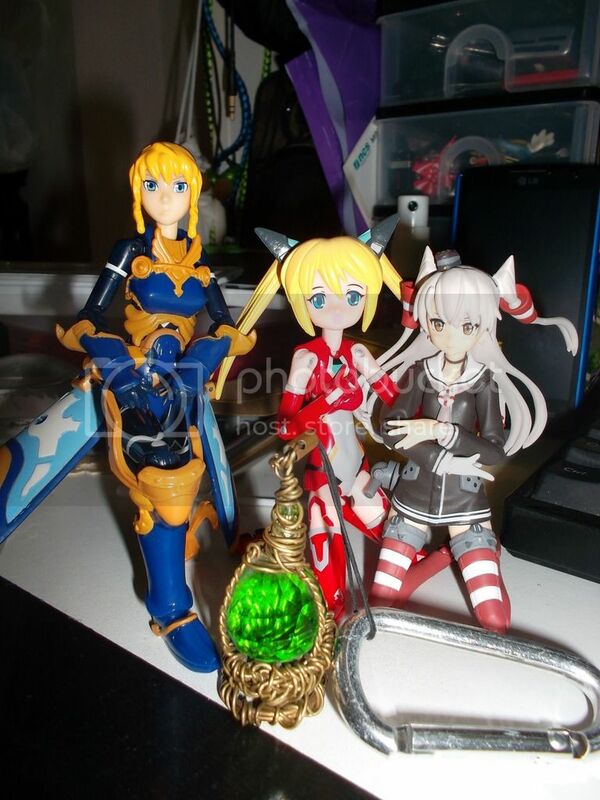 Did some hunting online and Rakuten-TERRAFORMER's prices seem more realistic ($222 for Maryceleste!). ps: Amatsukaze's Figma has a skirt short enough that you can really see her derriere from behind. The flash makes this little green guy glow like he's gonna explode. 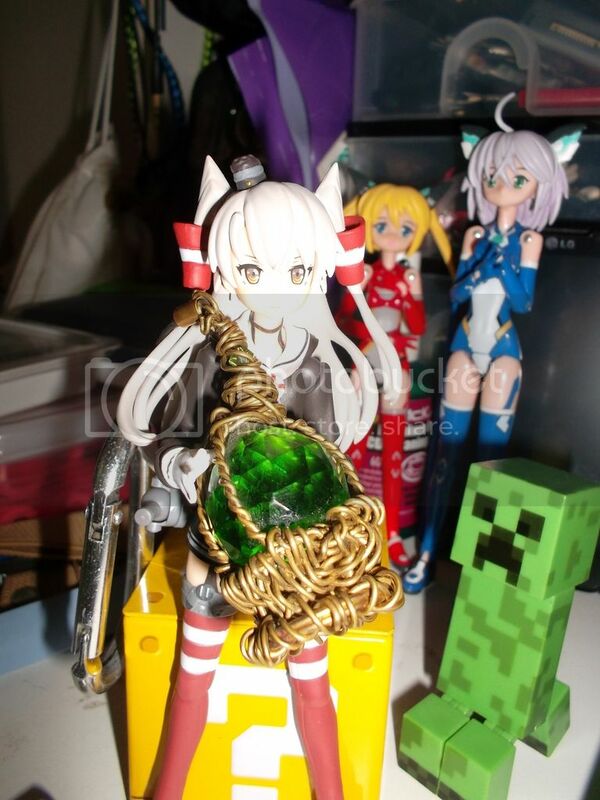 Amatsukaze's joints are strong enough to carry me. edit: I like having little props on my desk for photo-taking, like the questionmark item box and the Minecraft stuff. edit edit: Having some scrap denim material from having had my jeans modified and patched, I'm thinking of using it to make some simple clothes for the girls. 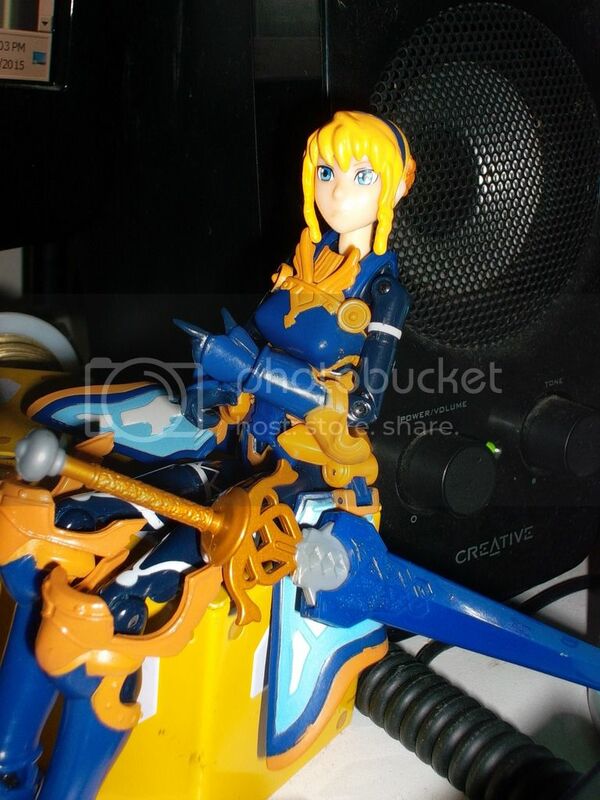 edit x3: Vervietta has some minor production flaws (breastplate has some paint issues, left wrist is loose (fixed), left open hand is slightly damaged (swapped to other hand)), but I still like her anyway. I'll forgo the cliche' "ONE OF US!" chant and simply say "Welcome!" 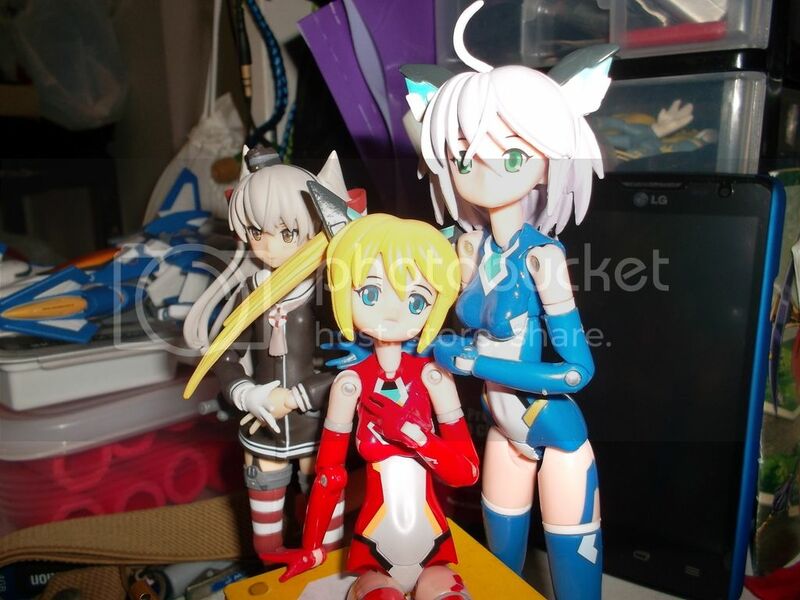 That's an interesting group you have there (and I won't lie, I went and looked up that Combat-San after seeing it here...I can't help it, I love robot girls! ), and I look forward to seeing more pics of them!